A fun cake, requested for a lady who used to be a nurse in Zambia. 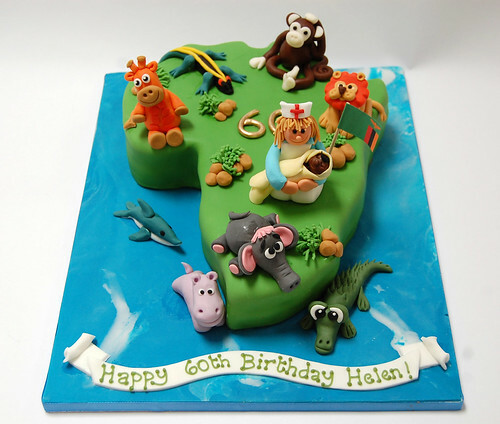 The Africa Cake – from £80. Thankyou Mandy for the brilliant Africa Cake you created.It was the star of the birthday celebrations for Helen.As well as looking good it tasted delicious.